Welcome to the KHCPL webpage for Job-Seekers! You've probably heard the saying that it's a full-time job to find a full-time job. We'd like to say that's not true, but it often can be. But there's some good news! We have done a lot of the work for you. We've broken down the process step by step and created or found resources to help you each step of the way. And, of course, any of our staff at the Reference Desk would be happy to provide additional assistance. You might not need to take all of these steps if you've already taken some of them on your own. So feel free to skip a step or several steps to advance to the one that helps you get started. One more word before we begin. If you end up on a website that asks you to PAY for help to get a job, it could be a scam. Even if it's a legitimate business, there are plenty of FREE resources, such as this Job-Seekers' page, to help you. Save your money. Okay. Let's get going on finding you a job. Most companies require that you fill out an application online and/or email or upload a resume. 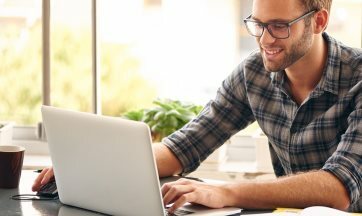 In addition, most employees have to use computers on the job. If you don't have a lot of experience with computers, that's okay. KHCPL is here to help. Don't have a computer? No problem. We do. We have computer labs at all three KHCPL locations. They're FREE to use during regular library hours, which are listed on our locations page. Some people are a little afraid the first time they sit down in front of a computer. That's okay. If you're a bit nervous, consider coming to one or more of our 1-on-1 Technology Training times. Each session is free and on a first-come, first-served basis. Drop in during one of the training sessions and a staff member will answer your questions about anything from how to find the on button to uploading a job application, cover letter, or resume. 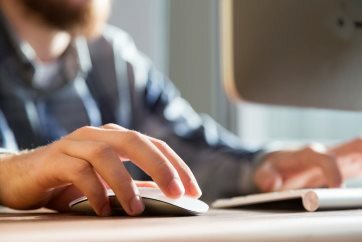 Other than turning on a computer, you will need to use a mouse for most everything. It takes a little bit of practice to get the hang of it. So click here to start practicing using a mouse. If you've never taken a keyboarding class or it's been a few years since you used a typewriter, you can practice here. 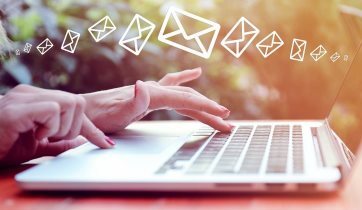 To send a company information when applying for a job and to receive information back from a company, you need an email account. We recommend either gmail.com, which is a part of Google, or outlook.com, which is a part of Microsoft. These are the most user-friendly. They're also FREE. To learn more about email in general, go here. Think of all of your email and website activity as your wallet. You want to keep it all safe and not allow people to have easy access to it, right? So it's very important to create passwords that are difficult for others to guess and, therefore, gain access to (hack) your accounts. 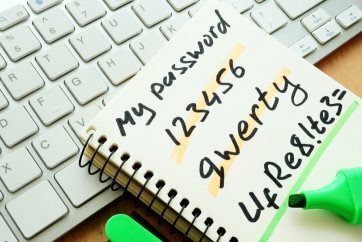 Here are some tips on how to create passwords and remember them. If you can't remember your email or password, write them down; however, keep them in a safe place that you'll remember. Also remember that you need to check your email often, at least once a day, or you could miss an opportunity. Once you get a job, an employer will need a few documents to verify your identity. If you don't already have them, it can take some time to get them. So it's best to start getting them ready now, before you have a job offer. If you go here, you will find a list of the variety of documents that you can provide to an employer to show their identity and authorization to work. Three of the most popular options are a state ID card, birth certificate, and Social Security card. Step 5: How can I find job openings? 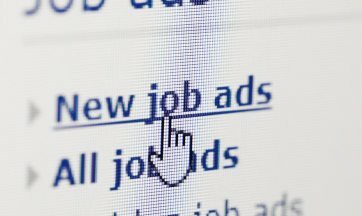 Job search sites gather job postings from thousands of websites, so it's like a one-stop-shop when looking for a job. In addition, employers also post jobs directly on such sites. Locally, KHCPL gets a lot of inquiries when news spreads that Chrysler is hiring. If you'd like to try to get a job there, here's where you find the openings. Also locally, the City of Kokomo often has job openings, as well as Howard County, Taylor Community School Corporation, Eastern Howard School Corporation, Northwestern School Corporation, Western School Corporation, Kokomo-Center Schools, Indiana University Kokomo, Ivy Tech Kokomo, Community Howard Regional Health, St. Vincent Hospital Kokomo, and the Kokomo-Howard County Public Library. If you want to try to find a job with the State of Indiana, start here. Federal jobs are harder to get; however, veterans are entitled to preference over others in hiring for virtually all federal government jobs. 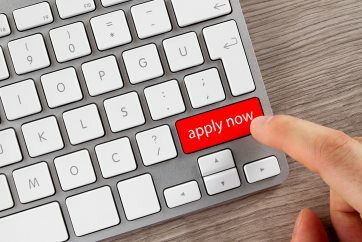 This website allows you to find federal job openings and start the application process. 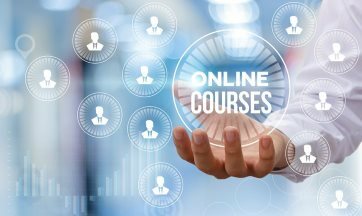 The virtual, easy-to-use classrooms provide you with feedback from instructors regarding your progress and allow you to earn a CEU Certificate of Course Completion, which documents your final grade, along with other assessment information. Having a CEU Certificate of Course Completion could go a long way on an application or resume when trying to get a job. You can enroll in a course today. 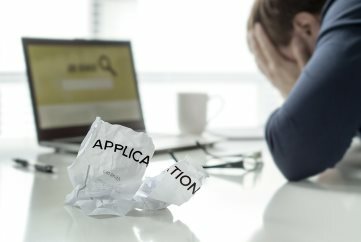 Job applications vary, but most require the same basic information. Personal information: name, address, phone number, email address, and sometimes date of birth, race, and gender; eligibility to work in the United States; felony convictions; if underage, work permits. If you have a felony record, it can be more difficult to find a job. But it's still possible. 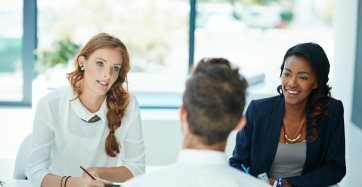 Here's how to address a conviction on an application and during an interview. If you are between the ages of 14 and 17, the State of Indiana requires you to obtain a work permit. 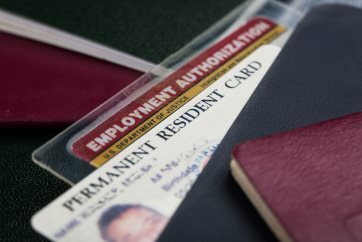 You'll find all of the answers to your questions about work permits here. If you struggle to read or do basic math, you can get FREE help with the Literacy Coalition. If you do not have a high school diploma, it can sometimes make it more difficult to find a job, but did you know you can enroll FREE at the Excel Center in Kokomo and earn a Core 40 diploma. In place of a GED (General Education Development) degree, Indiana now offers the Test Assessing Secondary Completion (TASC). When you're ready to take the test, you can practice with sample questions. It takes some time, but it'll be worth it in the end. In addition, you can go to the Kokomo Area Career Center to prepare for the TASC and register to take the exam. Position-applied-for information: title of the job you are applying for; hours/days available to work; when you can start work; transportation; and sometimes salary requirements. Tips for how to answer questions about availability. Fortunately in Kokomo, you have some public transportation options if you don't have a vehicle of your own or a valid license. If at all possible, avoid asking about or providing information about your desired salary until the interview process; however, if a salary question is on the online application, here are ways to address it. Employment information: names, addresses, and phone numbers of previous employers; supervisors' names; dates of employment; salary; reason for leaving; references. Not sure what to say when asked why you left a job? Try one of these answers. If you were fired from a job, you can still find another job. You need to keep discussion of the situation to a minimum and avoid talking negatively about a former employer. You can find some tips here about what to say when asked about being fired. As you can see, that's quite a bit of information. So it's best to have all of that basic information written down so that you can access it easily. Some job application sites “time out” after so many minutes, so having the information in writing beside you speeds along the process. In addition, you'll have the information with you if you have to fill out a paper application at a place of business. 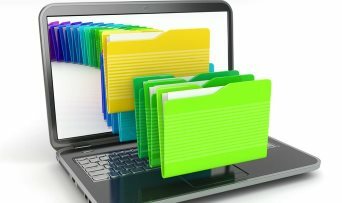 You can even type the information and save the document to your computer or a flash drive, a small device that allows you to store information. (KHCPL sells them at the Circulation Desk for a small fee. You can also find them at most any store.) Make sure you run a spell/grammar check! Then you can simply copy/paste the information when applying online. Sometimes people panic when they hear the word resume. If you've never created one, it can be intimidating. So we've found for you some basic information about resumes. However, most people find sample templates the most useful. If you're in high school looking for a job, try this sample. If you're an adult, a skills resume sample is an option; it focuses on what you can do more than where you've worked. A chronological resume works well if you have work experience that is very similar to the job for which you're applying. Just as the name suggests, you list your work history in order, starting with your most recent job and going back to your first job. A combination resume combines a skills resume with a chronological one. 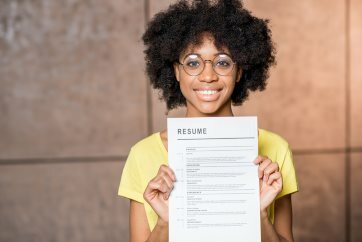 A functional resume lets you focus on your skills and experience and de-emphasizes your work history; it's great if you don't have a lot of work history. Indiana University Kokomo's Career Services offers a number of resume samples and resume and interview tools. In addition, we have several books to help you write a great resume. Some companies ask you to submit a resume and cover letter. A cover letter is just a few paragraphs, never longer than a page, that simply explains why you are the one to hire, compared to all of the other applicants. Your focus is on how your skills, experience, education, etc. can help the company. Career one stop offers a variety of tips and cover letter samples. KHCPL has several books that will make cover letter writing easier. 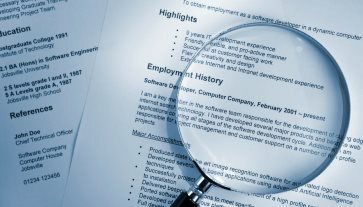 Regardless of the type of resume you use, you should list your references at the bottom. 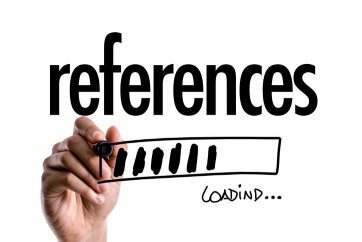 So whom should you list as a reference? Good question. Never list your friends and family or pastor/priest, etc. The general rule is someone who can speak to how good of a worker you are (you show up on time, you follow orders, etc. ), what skills you have (you can drive a forklift, you can use PhotoShop, etc. ), how you contributed to the workplace culture (you were easy to get along with), and how you interacted with customers (you went out of your way to help clients). If you work somewhere with a lot of turnover with management, try to get a written reference from your supervisor before he or she leaves. There's always one tricky problem when it comes to references: If you have a job, how do you get a reference without letting your employer know you're trying to leave. All of these questions are addressed, along with other tips, here. Once you have all of the basic, required information at your fingertips, you're ready to start customizing it, in other words, make each application, resume, and cover letter specific to a job/company. Many companies use an application tracking system, ATS. What's that? When you submit your application and or resume, an employer stores them in a database and then can search to find key words. So, for example, if an employer notes in a job description that it needs someone who works well independently, manages time wisely, and follows instructions, then you need to make sure those EXACT words are somewhere on your application, resume, and/or cover letter. If your resume contains the keywords the employer wants, then the ATS will rank you higher in the search results, meaning you're more likely to get an interview and then, maybe, the job. Here's some additional information about ATS and here's some more information about how to customize your application, resume, and cover letter because of ATS. Since you need to customize your applications, resumes, and cover letters, you will need to keep track of the various ones. Not one organizational system works for everyone. So it's best to do what works for you. One of the best ways to keep track is by simply creating a Word document or writing it down in a notebook. Type, as an example: On March 7, applied for crew member at ABC Restaurant. I submitted John Doe Resume for ABC Restaurant and John Doe Cover Letter for ABC Restaurant. 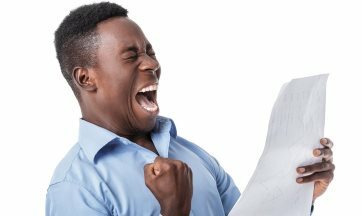 If you've been called for an interview, all the steps you've taken to get your application and/or resume and cover letter ready have the employer interested. Congratulations! An interview is a lot like a first date. You have to think about what you're going to wear (make sure it's clean, stain-free, hole-free, unwrinkled, fits well, isn't revealing), practice what you might talk about (ask a friend to ask you practice questions), do some extra grooming (making sure there's no dirt under your fingernails, shave, shine your shoes, etc.). Here are some additional grooming tips to consider before you go on that all-important interview. If you're looking for job, you likely are short on money. But you don't have to go buy all new clothes from a department store to get a job. You can dress for success on a budget. Several local churches and organizations offer clothing provisions. Consider contacting or going to one of these locations to find clothing that you could wear to an interview. Area Five Agency also provides clothing for interviews. In addition, there are several thrift stores in the area where you can find inexpensive clothing. And don't be afraid to ask to borrow clothes, shoes, or accessories from friends and family. The interview is crucial, so we're sharing a list of dos and don'ts. There are certain employment and labor laws that employers are required to follow. They are not allowed to ask certain questions. If the person interviewing you asks one of these questions, here are some examples of how to respond. Note, though, that a potential employer asking an illegal question should be a red flag that you might not what to work there. Then again, the interviewer could be new. Either way, know your rights. In addition, some people fear that a potential employee will run a credit check. Is that possible? Yes. But it's not common and becoming even less common AND you would have to give your permission first. It's always a good idea to send a hand-written thank you card to the person who interviews you. If you have poor handwriting, it's okay to type a letter and tuck it inside a thank you card. While sending a thank you card doesn't guarantee you'll get the job, it will definitely make you stand out compared to other candidates. Not sure what to say? Try something like this. Here are some additional articles you will find useful in the job-searching process. Okay. So you didn't get the job. Sometimes you'll get an email. Sometimes you'll get a mailed letter. Sometimes you just won't hear back. It's frustrating. We've ALL been there. You could have done everything perfectly, but still not received the job offer. Sometimes, it's a matter of a more qualified candidate. There are a variety of reasons that make finding a job a process. So, stay encouraged. You can do this. Try again. Step 16: You did it! You got a job! Congratulations!!! If the KHCPL Job-Seekers' page has helped you, we'd love to hear about it. Starting from your first day, you'll want to make a great impression and confirm the interviewer's decision to hire you. Here are some helpful hints when you're the new employee and to impress your boss. You'll also want to avoid making some common mistakes. Thank you for using our Job-Seekers' page. If you have any questions or suggestions, please contact Reference Librarian Marsha Santen at msanten@KHCPL.org or 765.626.0892.